…Sicily has been a Camp Fire Kid for 13 years. She served as a Jr. 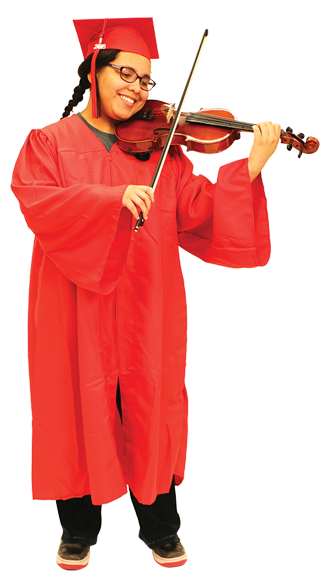 Counselor for 4 years while excelling in school academically and also in orchestra. She has been a member of the Youth Symphony Orchestra and National Honor Society. She is a perfect example of what Camp Fire teaches youth in our area. Camp Fire North Texas serves over 2,000 members annually through programs which inspire creativity, stimulate curiosity and teach life skills. The children we serve range in age from three through high school and participate in projects and activities provided through traditional clubs, outdoor/environmental venues, the Special Services After-School Program, the Day Camp & Swimming Program, and “Teens in Action”. Our caring staff provides encouragement, support and individual attention to youth who are struggling with issues at home, school and with their peers.